We were provided with Film and/or product to help facilitate this post. All opinions are 100% our own. 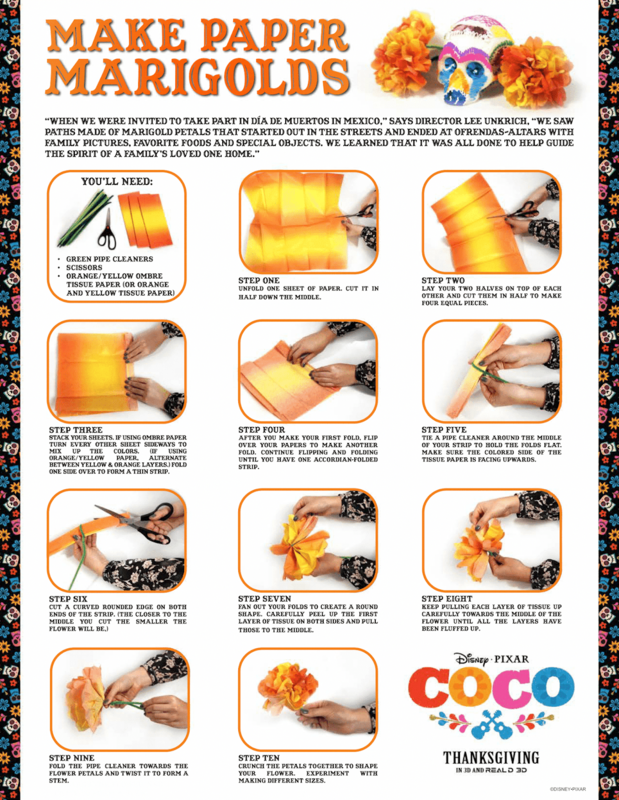 I must start by telling you that we've all become Un Poco Loco with COCO! This wonderful film is just so vibrant and full of Life (even after Death). It did raise many questions in regards to death from my 5-year-old, but nothing that was too difficult to explain while using the movie as a reference. It's the ultimate family film so why not put together a family fun movie night? Disney•Pixar’s “Coco” is the story of a 12-year-old aspiring musician’s extraordinary journey to the magical land of his ancestors. 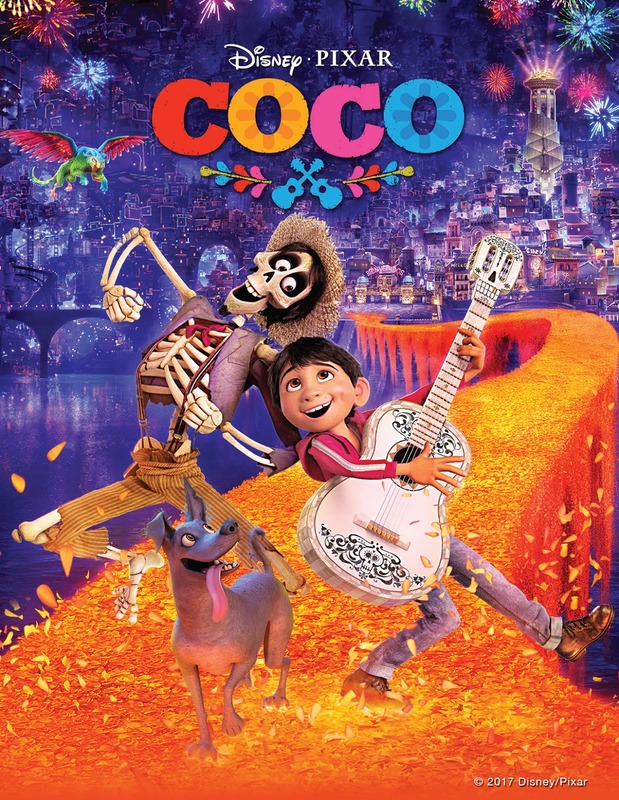 It won a 2018 Golden Globe Award for Best Animated Motion Picture, topped the domestic box office Thanksgiving holiday weekend, became the highest grossing film of all time in Mexico, broke records in China and earned widespread praise, receiving 96 percent from critics and 97 percent from audiences on Rotten Tomatoes. 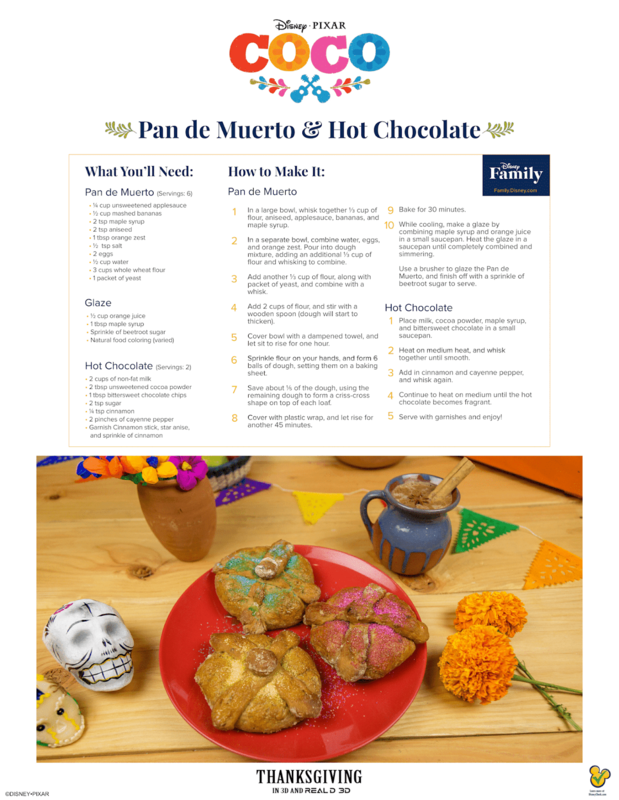 Aside from the Popcorn, why not have some Pan De Muerto & Hot Chocolate? In Mexico, Pan de Muerto, or bread of the dead, is a flavorful sweet bread traditionally baked during the weeks leading up to Dia de los Muertos, or Day of the Dead, which is celebrated on November 1st and 2nd. For the entire month leading up to this celebration, People enjoy this bread. Once the day has arrived, it is brought to the gravesite of the loved ones who have passed for it is said that the dead are driven back to the living by the scent of their favorite foods. This is why the film shows many ancestors bringing back foods and items that were left on their gravesite ofrendas. As soon as the film start, you'll see that everything is family focused. 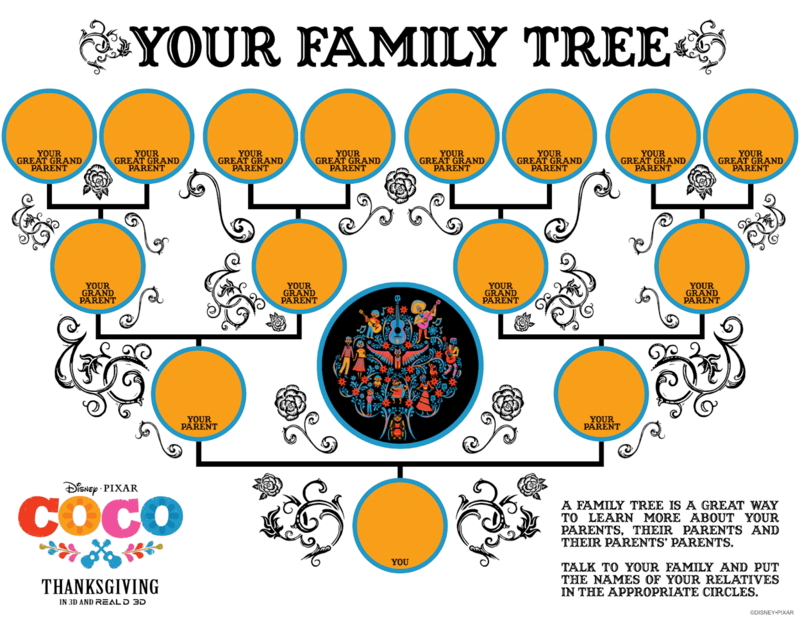 Your family is extremely important so why not sit with your family and learn (or teach) about your past generations with the help of a family tree? You can't celebrate without decorations and which better ones than Marigold leaves and flowers? It is believed that Marigolds guide the spirits to their altars using their vibrant colors and scent. Marigolds, or flowers in general, also represent the fragility of life. If you can't find the real ones, Create some Paper ones instead. And the music. The Day of The Dead is a celebration with colors, food, and music. 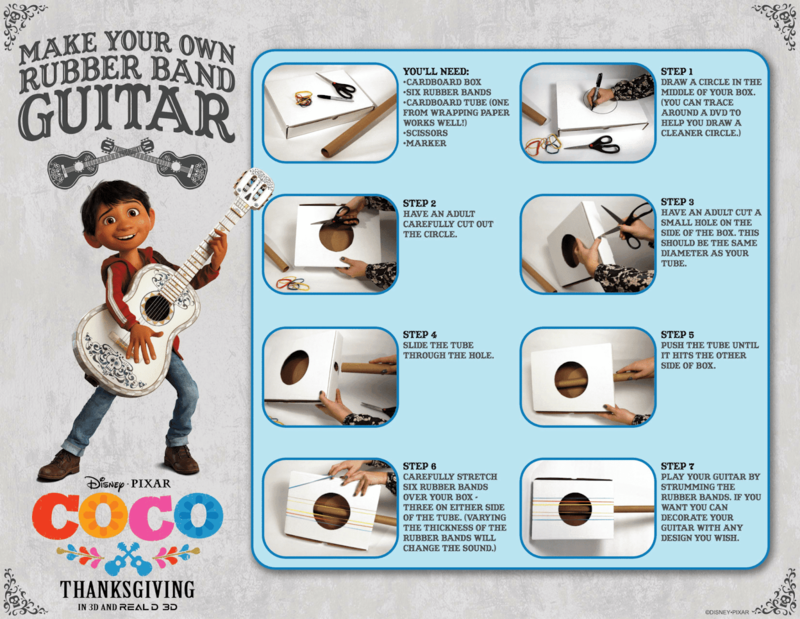 Why not get crafty and create the infamous Coco guitar? 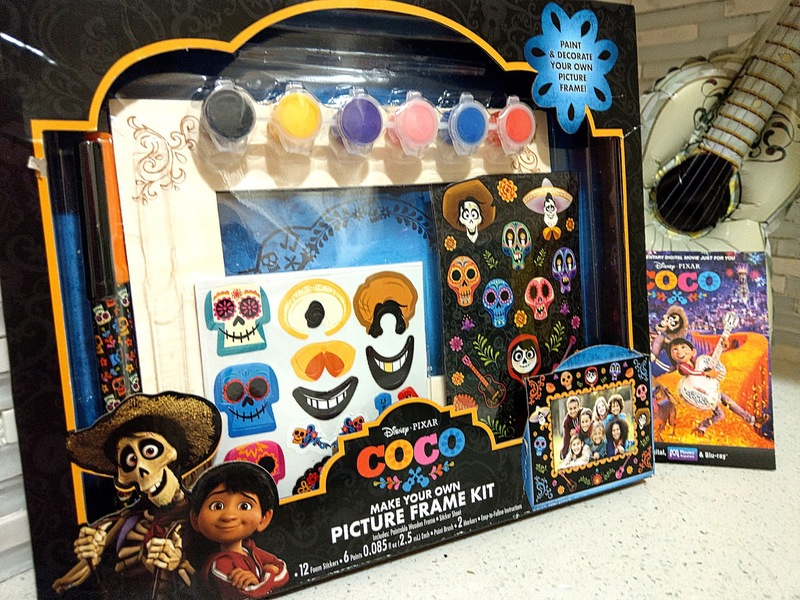 Get to painting with your very own COCO Picture Frame Kit! Get it at Toys R Us or Enter to win your very own down below! 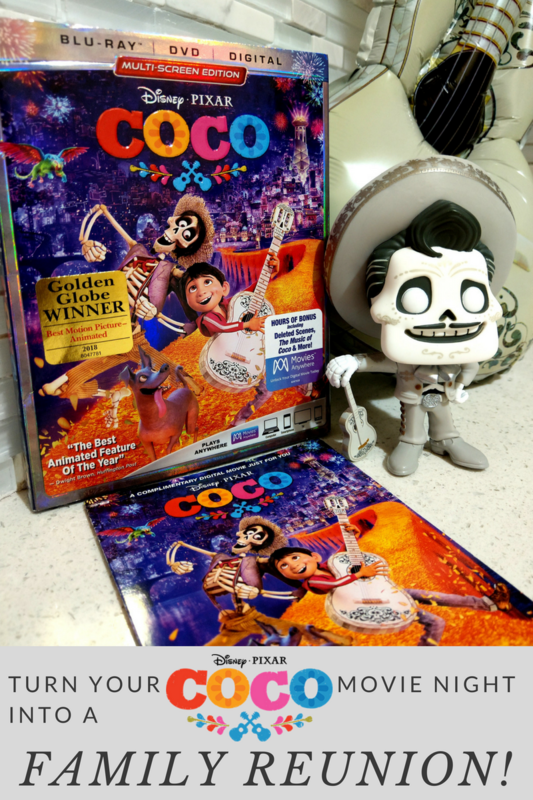 The Last thing you'll need to make this COCO Movie Night a success is the film itself. This vibrant tale filled with love and laughter arrived home Digitally in HD and 4K Ultra HD™ and on Movies Anywhere on Feb. 13 and will now be on 4K Ultra HD,™ Blu-ray,™ DVD and On-Demand on Feb. 27. This is such a great movie and love the post on all the details. Such a great story behind it and might try that crafty coco crafty guitar! My favorite coco character is Hector! Thank you! I love his Abuele, and Mama coco. Miguel Rivera is my favorite. I havent seen the movie yet but the kids and I really want to. I like how it is such a different kind of disney movie. I cant wait to see it. I just watched this with my kids! They were obsessed and loved it!